The world's biggest lithium ion battery has started delivering power. Activating the massive system in South Australia fulfills a bold pledge by Tesla CEO Elon Musk to build the battery in 100 days or provide it for free. The electric car company's Powerpack battery system stores energy generated by a nearby wind farm and is capable of providing electricity for as many as 30,000 homes. It is three times more powerful than its nearest competitor. The new Tesla system is part of efforts to address energy supply problems in South Australia, which has suffered high-profile blackouts in recent years. "South Australia is now leading the world in dispatchable renewable energy," the state's premier, Jay Weatherill, said in a statement Friday. "This is history in the making." 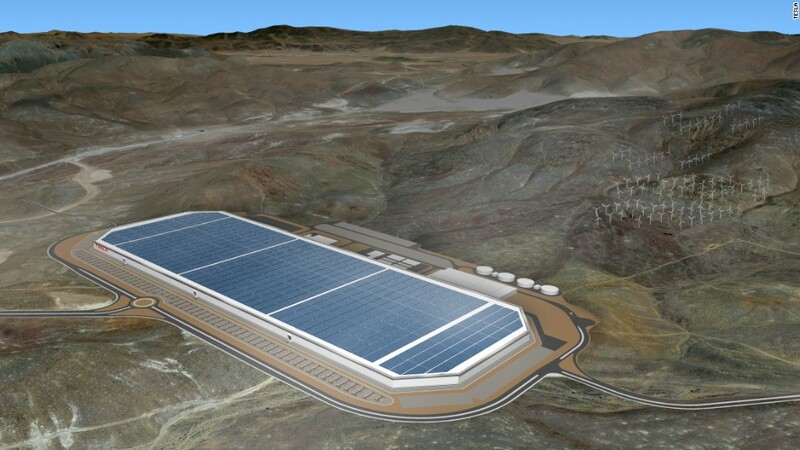 Tesla (TSLA) said it hopes the project "provides a model for future deployments around the world." The U.S. electric car company was awarded a deal to build the battery earlier this year along with French renewable energy firm Neoen. 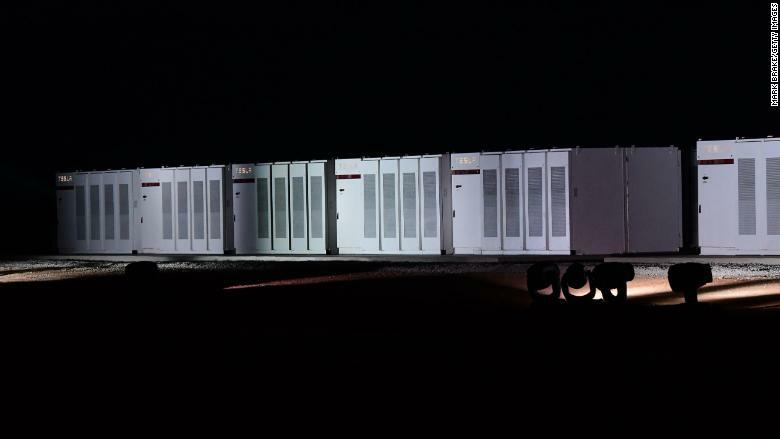 Tesla's Powerpack battery system in South Australia stores energy generated by a nearby wind farm. Musk made his "100 days or it's free" vow on Twitter (TWTR) during an exchange with Australian billionaire Mike Cannon-Brookes. The clock started ticking when the official contract was signed in September. With the battery going online this week, Musk met his deadline. The battery was officially launched Friday, but Australian media reported that it started supplying power to the electricity grid Thursday during peak demand hours. For one day in September last year, the state's 1.7 million people were left without power after a huge storm knocked out transmission lines. An investigation by Australia's energy grid operator blamed the outage on a faulty safety mechanism in South Australia's wind farms. Another major blackout occurred in February when a heat wave caused demand to spike. But some experts say the giant Tesla battery alone isn't enough to solve the state's energy problems. The battery also might not be the world's biggest for long. Hyundai Electric & Energy Systems is building one in South Korea that is about 50% bigger than Tesla's. It's scheduled to charge up early next year. -- Jeyup Kwaak contributed to this report.